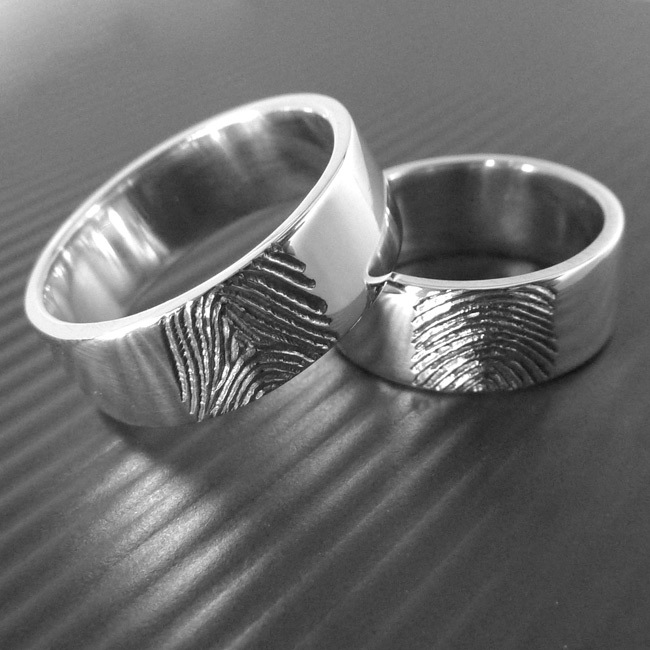 His & Her matching wedding bands with a fingerprint engraved design. 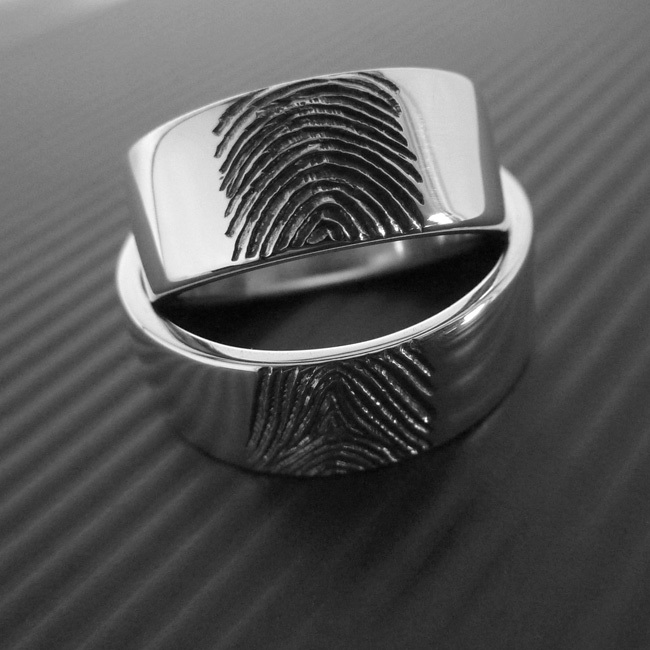 All available in platinum, palladium and gold – Rings to treasure forever. 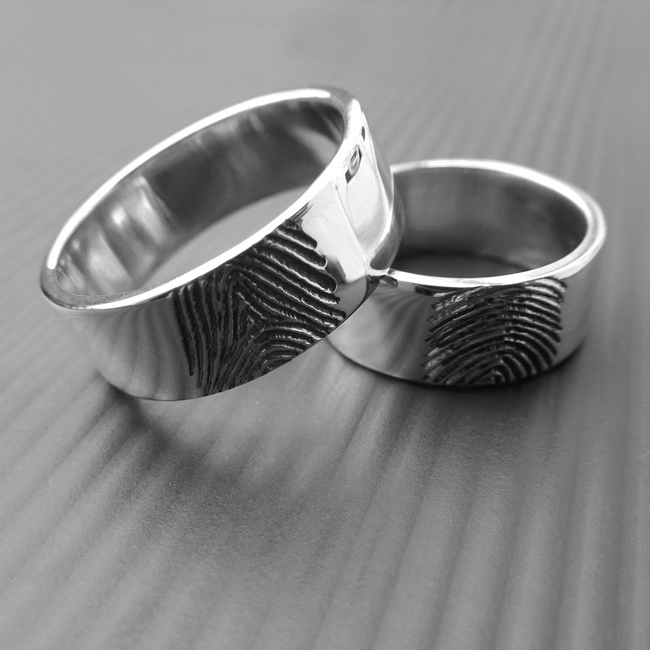 Handmade in Sterling Silver, one approximately 8mm wide and one 4mm wide. 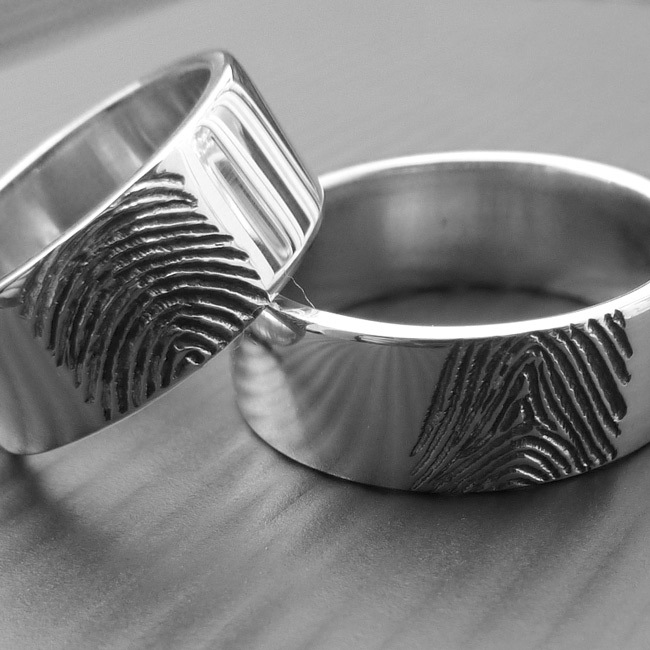 Availability: In stock Size: N/A Categories: All Jewellery, Rings, Mens Jewellery, Ring, For Woman, For Men, Wedding, Wedding Jewellery, Wedding Rings. Tags: coach, comple, fashion, Men, sweater, T-shirt, veston.